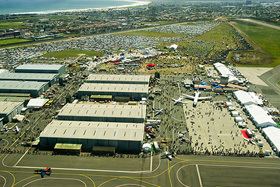 AAD 2012 :: Africa Aerospace & Defence: AAD2010 first public day a huge success! AAD2010 first public day a huge success! 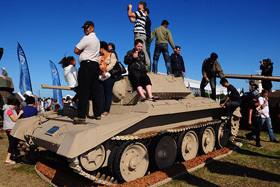 Bright, clear and sunny skies saluted the AAD2010 Exhibition’s first public day. Highly skilled pilots entertained and amazed crowds with a variety of aircraft displays, aerobatics and precision flying. Tomorrow is the last opportunity for aviation enthusiasts to enjoy the African continent’s largest air show.